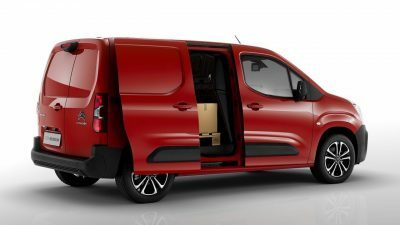 An interesting arrival for 2019 will be the new Citroen Dispatch van. This is a stylish van that is a perfect size for going into all sorts of city streets, parking buildings and driveways that taller vans won’t go. Developed as part of a joint venture between Citroen, Peugeot and Toyota (to keep the costs of production down), the Citroen Dispatch has many excellent features and significant improvements over the older Citroen vans. Boasting higher carrying capacities, lower running costs and improved refinement, this will be the van you’ll want to market your business on. 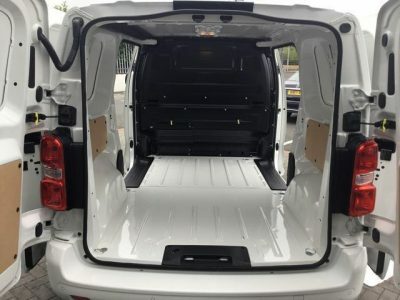 The 2019 Citroen Dispatch has a very healthy maximum payload of 1500 kg and will easily swallow a wooden pallet’s dimensions. Not only is the payload area cavernous but you’ll be able to tow a 2.5 tonne braked trailer – this is 500 kg more than the outgoing equivalent Citroen van. Another practical feature is that Citroen will offer the Dispatch van in a range of body styles that include: van, crew van and chassis cab. You can get your new Dispatch in three body lengths: M, XL and XS. The smallest is good for carrying lengths of 3.3 m, but this increases to 4.0 m for the larger versions. On the road the Citroen Dispatch is comfortable and drives very similar to a car. The suspension copes well with undulations and you’ll be impressed with the ride and handling. It’s easy to get comfortable as the driver’s seat is adjustable for height and rake, matching the steering wheels ability for adjustment. Well-padded and supportive, the driver’s seat has the charm of remaining comfortable over long periods at the wheel. The cab has a lower glove box with a jack, 12V socket and USB socket housed inside. The storage space under the passenger seat is handy for all sorts of stuff, and there are cup holders on both sides of the dashboard. A central upper storage area comes in useful, and the two door bins are large enough for taking 1.5-litre bottles should the work get a little thirsty. 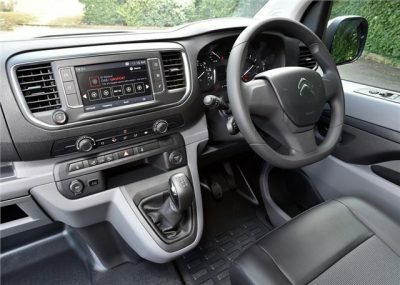 Bluetooth communications, satellite navigation, wireless charging, 12V auxiliary sockets and quality sound systems make life inside the new Citroen Dispatch relaxed and infotained. The interior has a smart, modern look, with all models providing a central seven-inch touchscreen as standard. It also has a ‘mirror screen’ function that is compatible with Mirror Link and Apple CarPlay technology. Courier life couldn’t be better! Power comes from very solid 1.6-litre to 2.0-litre BlueHDi diesels, with power outputs ranging from 70 kW to 132 kW. An automatic transmission is optional for the Citroen Dispatch entry-level motor and mandatory on the most powerful engine. No matter which HDi engine you choose, they will all provide excellent fuel economy that betters 5 litres/100 km under normal driving conditions. 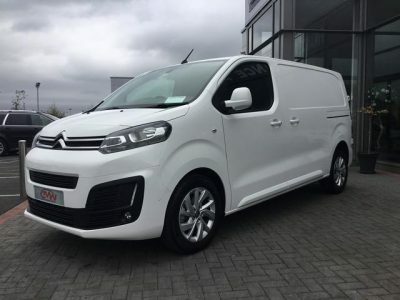 Compared with rivals from Volkswagen, Ford, Renault, Vauxhall and Mercedes-Benz, the 2019 Citroen Dispatch rates highly for low running costs. Other cool features include the set of hands-free sliding doors that can be accessed with a simple foot motion. The load space bulkhead has a space for sliding pipes, planks of wood or a ladder under the front passenger’s seat. And an upgrade for the touchscreen gets you more navigation and traffic alert features. Citroen Dispatch vans have scored a maximum of five stars in the Euro NCAP tests. A host of additional safety equipment has seen features like lane departure warning, autonomous braking and active cruise control becoming standard. The Dispatch is also available with a head-up display which displays essential driving information (actual and recommended speed, cruise control/speed limiter setting, navigation instructions, and collision risk alerts). Speed limits are read from road signs when Heads-Up display is present. Other Dispatch options include an automatic dipping main beam, a 180 degree rear camera function, and some of the vans are available with Citroën’s Grip Control, which improves traction on slippery surfaces. These are great vans to drive. Loaded with the best features and superbly safe, the new Citroen Dispatch will impress. For any more information on the new Citroen Dispatch models or, for that matter, any other new car, contact one of our friendly consultants on 1300 303 181. If you’d like some fleet discount pricing (yes even for private buyers! ), we can submit vehicle quote requests out to our national network of Citroen dealers and come back with pricing within 24 hours. Private Fleet – car buying made easy!